This policy promotes good practice to ensure University systems and data are only accessed by authorised users. Password rules are automatically enforced where systems support this. Where they can't, this must be documented. Where possible, users should adhere to the password rules, even when a system can't automatically enforce them. Users only have to set up their question page once, ideally before the need to reset their password. Click on the relevant link and log on to access the question page. 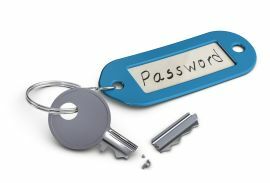 Six incorrect password attempts will result in a 30 minute lockout of the account.